Sea ice around the world fell to a record low for January last month, experts say. The reason is an increase in the period of melting of polar snow. In January 2018, the area of ​​sea ice in the Arctic amounted to 13.04 million square meters. km. This is by 1.3 million square meters. km less than the average area of ​​sea ice from 1981 to 2010, which was the lowest value for January in the satellite record, according to the National Snow and Ice Data Center of the United States. Combined with the low level of ice in Antarctica, the global sea ice area was a record low for January, the organization said. 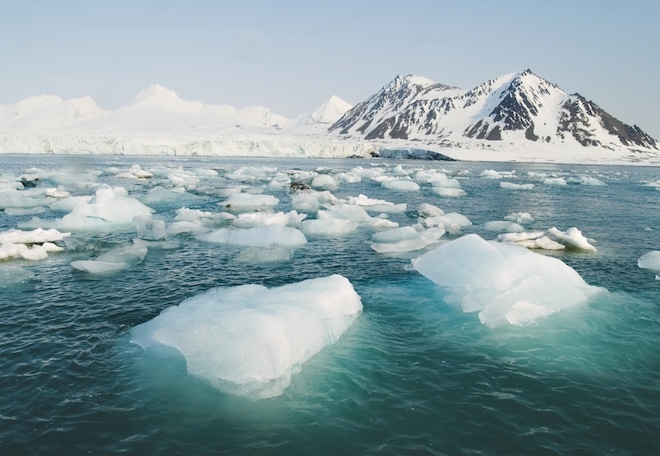 The news came just a few days after researchers from the University of Colorado at Boulder reported that the rate of rise in sea level is increasing every year, mainly due to accelerated melting in Greenland and Antarctica. The National Snow and Ice Data Center of the United States, which studies and analyzes snow, glaciers and ice sheets, reports that ice in the Arctic Ocean reached a new record low at the end and at the beginning of last month. The Arctic experienced a week of record low daily ice volumes at the beginning of the month, the average for January broke the record low of 2017. “The ice grew all month almost at an average speed, and in the middle of the month the daily ice area was more than in 2017,” the report said. “However, by the end of January, the area was again lower than in 2017”. However, the head of the Center, Mark Serrez, said that he is more concerned than ever, since the reduction of ice now occurs all year round – both in winter and in September, the warmest month. The rate of decrease in sea ice in January is 47.6 thousand square meters. km per year or 3.3% per decade. Experts say that this year the situation in Antarctica is also alarming. “In the Southern Hemisphere after January 11, the sea ice began to decline, which led to the second in the scarcity of the ice area in January for the entire history of observations. The minimum area for this time of year in Antarctica was recorded in 2017, “the National Snow and Ice Data Center of the United States reports. The sea-ice cover is predominantly young and thin, and old and dense ice accounted for only 21% of the ice cover in 2017, compared with 45% in 1985.